DETROIT (WXYZ) — Whether it’s diving into the world of Japanese comics (Manga!) or creating an afghan from scratch, Sativa is a creative soul. The 14-year-old who’s in foster care is hoping to be adopted into a family who can share her passion for the arts. “I like to crochet and do yarn work. Right now, I’m making a blanket that’s going to be really big. I’m using 14 balls of yarn,” said Sativa. She also likes to whip up creations in the kitchen. “I like to cook eggplant parmesan and lasagna,” she explained. Sushi is one of her favorite foods. She also enjoys reading and watching movies – especially in the sci-fi genre. Activities she’d like to do with a future family include hunting, fishing, swimming, bike riding, and traveling. “My dream birthday is going to Disney World,” she said. Her favorite subjects in school are science, English, and history. When she grows up, she’d like to become a Biomedical Engineer. “I think it’s cool how you can design stuff that doctors will actually use – like you’re saving someone’s life through your work,” she said with a smile. Making a positive difference in the world is one of Sativa’s goals. “I like to volunteer at the soup kitchens and help people when they’re in need. Helping others makes me really happy,” she said. “I like to help animals, too. I’m a big animal person,” she added. Her favorite animals are horses and dogs. “I’m really active in the community. I like to participate in marches and protests and stuff. I like speaking my mind,” she said. “I’m not as timid as I may seem... I’m really outgoing. I wish for world peace and an end to poverty and [that] everybody has a home,” Sativa added. If you’d like to learn more about Sativa, click here. 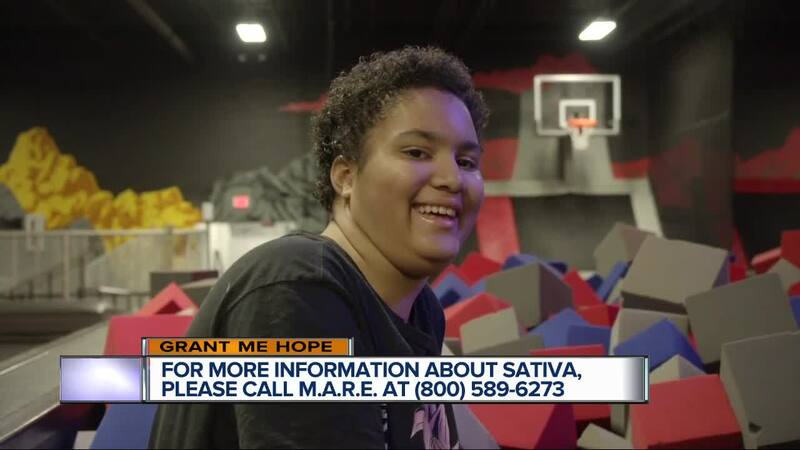 If you’d like to talk about adopting Sativa, call the Michigan Adoption Resource Exchange at (800)589-6273. You can always help by sharing this Grant Me Hope video on social media. Thank you!